1Train A$AP Rocky, Kendrick Lamar, Joey Bada$$, Yelawolf, Danny Brown, Action Bronson & Big K.R.I.T. 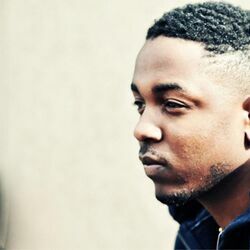 Discover more playlists and music by Kendrick Lamar on PLAYLISTED. Like My Couch is a Pornostar, The Mantra (with Pharrell & Kendrick Lamar), Tints (feat. Kendrick Lamar) and Mona Lisa (feat. Kendrick Lamar).